Narrator (Hanna): Dorothy lived in the great Kansas prairies. One day UncleHenry shouted: a cyclone is coming and everybody has to run to the cellar. Dwarf 1 (Isabella B): we represent the lullaby league and in the name of the.. Dwarf 2 (Sofia): Lullaby League we wish to welcome you to the Munchkin Land! Dorothy (Isa R): You are very kind, but I have not killed anybody. W.of North (Izzy): Your house did and it's the same!! See! Witch of the North (Issy): you must go to Emerald city perhaps Oz will help you!. Dorothy (Isa R): How can I get there? Witch of the North: Follow the yellow brick road!!! Dorothy (Isa R): Can't you get down? Scarecrow (Leo): No! Who are you? Wizard of Oz. Do you know him? Scarecrow (Leo): Noo! I have no brain at all. If I go with you to the great Oz would he give me some brain? Dorothy (Isa R): I don't know, let's try. Dorothy (Isa R): What was that? Tin man (Eduardo): You certainly saved my life!. Where are you going? Dorothy (Isa R.): We are going to the Emerald City, because I want to go back home. Scarecrow (Leo): I want a brain into my head! Tin man (Eduardo): Do you think Oz could give me a heart? Narrator (Hanna): They walked through the thick woods and a big lion appears. Dorothy (Isa R.): You are a big coward! Lion (Dario): I know it the king of the beasts shouldn't be a coward! It is my great sorrow and makes my life very unhappy. Scarecrow (Leo): I'm going to see the great Oz to ask him for a brain. Tin man (Eduardo): I'm going to ask him for a heart! Lion (Dario): Do you think Oz could give me courage? Guard (Oscar): What do you want in the Emerald city? 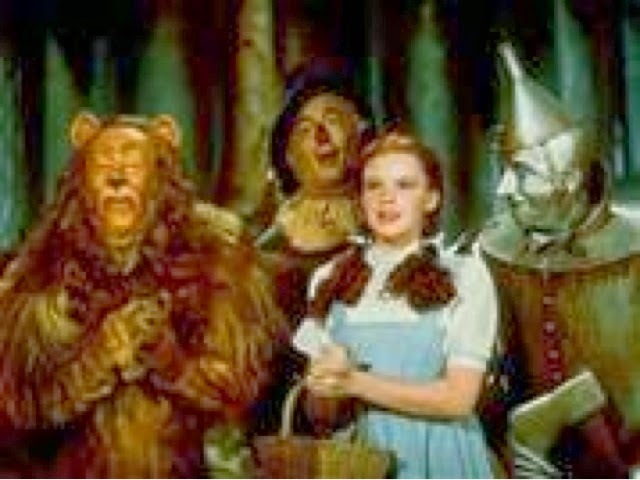 Dorothy (Isa): We want to see the great Oz! Guard 2 (Adrian) He is powerful and terrible!! Scarecrow (Leo): We have been told that Oz is a good wizard! Oz (Alex): ( points to Dorothy) Who are you and why do you want to see me? Scarecrow (Leo): I have no brain and I beg you to put a brain in my head. Please! Tin man (Eduardo): I have no heart and I beg you to give me a heart!! Oz (Alex): Ok, I will help you, but first you have to finish with the witch of the West!! Dorothy (Isa R): We were looking for you! Lion (Dario): Stop!!! Don’t get closer!!!!!!! Narrator (Hanna): They were surprised to see how the witch of the west is melting. Oz (Alex): You'll be a great man. Now you have a brain! Oz(Alex): Here is you heart! Tin man (Eduardo): Thank you! Oz (Alex): Drink! How do you feel now? Dorothy (Isa): Please help me!! Guardian (Oscar): the witch of the South she might know how to help you! Glenda (Aitana): What can I do for you? Glenda (Aitana): The ruby shoes have wonderful powers all you have to do is to knock the heels together three times and close your eyes and you will be at home. Narrator (Hanna): Dorothy came back home with her aunt and uncle. She was happy and also everybody in The Land of Oz!!!! At the end they the dance Merry Land of Oz. Narrator (Isabella Flores): In a beautiful kingdom called Arendelle, lived the Queen, the King and their two daughters Anna and Elsa. 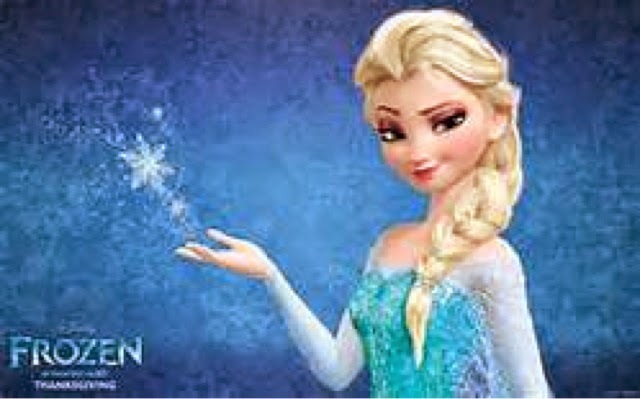 Elsa had a magical secret: the power to create ice and snow!. Elsa (Julia): Oh my God !!!! Anna are you Ok? (shouting) Dad! Mom! come quickly. Queen (Valeria del Villar) : Oh sweet heart!!! King (Alonso): Let's take the girls to the trolls. Queen (Valeria): They know what to do. Troll (Ivanna): Anna is now Ok.
Troll (Regina Plata): She won't remember anything. You have to be very careful because Elsa's power will be stronger day by day. Narrator (Isabella): Some years later the parents got lost in the sea. Elsa (Julia): Today is my great day!!!! I'm going to be the new Queen. Anna (Leyre): I'm very excited to meet Hans a handsome Prince!!!! Anna (Leyre): Elsa, I want to introduce Hans, now we are engaged!!!! Elsa (Julia): You cannot marry Hans. You have just met him. Elsa (Julia): Don't get closer I don't want to hurt anyone!!!! Narrator (Isabella F.): Elsa went to the Mountain of the North and Anna went to look for her. Anna (Leyre): Can you help me? I need to find my sister. Kristoff ( Sebastián): Sure, we can go now. Sven (José Diego): Yes, Let's go! Kristoff (Sebastián ): What a beautiful winter view. It's awesome! Sven (José Diego): I like white!!! Olaf (Alec): What about some color?. Hello my name is Olaf. Elsa made me. Anna (Leyre): Do you know where is she? Kristoff (Sebastián): Please tell us where we can find Elsa. It is very important because we need the summer to come back. Sven (José Diego): Let's go!!!! Guard (Paulo): What are you doing in this place? Guard (Máximo) : You cannot be here!!. Kristoff (Sebastián): My friends can help us. Troll (Regina): Your heart was charmed with ice and if you don't break this charm in one day you will be totally frozen! Troll (Ivanna): Just a true love can melt this charm. Narrator (Isabella F): Kristoff decided to take Anna to Arendelle to look for Hans her true love. Anna (Leyre): I was charmed with ice in my heart and I need the kiss of a true love to melt it. Hans (José Luis): Jajaja I hope you can find it because I don't love you. Hans (José Luis): Go and bring back Queen Elsa. Olaf (Alec): Anna come with me I will help you! Hans (José Luis): I have to do this because I want to become King of Arendelle. Narrator (Isabella F): Anna saw when Hans wanted to hurt her sister and she stood in front of Elsa. She became totally frozen and when Hans hit Anna the sword was broken. Olaf (Alec): This was a trully act of love. Kristoff (Sebastián): A real act of love can melt a fozen heart. Olaf (Alec): Now Arendelle is not frozen anymore and I can enjoy my summer time with my cloud. Everybody: Arendelle is a nice place to live in!!!!! Elina (Desireé) : Bibble, Bibble! What is happening with the garden? Bibble (Eduardo A. ): I don't know! Fairy (Abi): Look Elina! She doesn't have wings ! Fairy (Karol): jajajaja lets go, don't play with her. Fairy (Mariana): don't bother her! Fairy (Desireé): Look something is happening in the garden. Fairy (Regina V): Laverna charm it and the fairies can't fly. Elina: / Desireé: Let's go to look for Azura. Narrator (Andrea): They are walking and they met Nalú and Nori. Nalú (Arturo): What's a fairy without wings doing here? Nori (Alexa): Where are you going? Elina (Desireé): We are going to talk to Azura so she can help us. Nalú (Arturo): The real truth is that Laverna spell her sister making her sleep forever. Elina (Desireé): Really? What can I do? Nalú (Arturo): Maybe nothing about her sister, but you have to fight against her in order to have Fairytopia free. Regina and Mariana get tired and stay with the mermaid, Elina follows his wayand goes with Azura. Elina (Desireé): Azura help !!!!!! the fairies can't fly. Azura (Isabella R.): I can only brake the charm with my necklace. They hear noises and Azura gives the necklace to Elina and the guards come in Salvador y Rodrigo. They caught her and take her to Laverna Castle. Laverna (Valentina Ricaño): Nice to see you jajajajaja welcome to my kingdom. Azura (Isabella R.): What do you pretend polluting our garden? Laverna (Valentina R). : I want to be the only one to rule the kingdom. Elina (Desireé): Where is Azura? Laverna (Valentina R.): You don't have wings, would you like to have the most beautiful wings in the world? Laverna gives the rainbow wings to Elina. Laverna (Valentina R.): You just have to do a very little thing. GIVE ME YOUR NECKLACE !!!! and the wings will be yours. Azura (Isabella R.):Don't trust her. It seems that Elina is going to give the necklacem but Elina throws the necklace to the sky and the rainbow appears and the charm is broke and everybody dance happily. Nalú arrives and notice that Elina broke the charm. 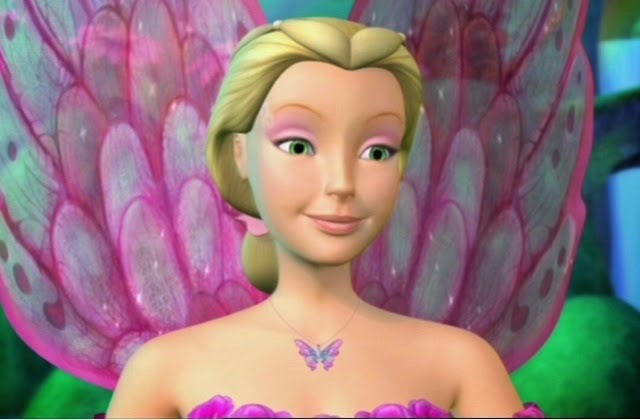 Nalú (Arturo): Elina, because of your courage Fairytopia became a peaceful place once again and YOU GOT YOUR COLORFUL WINGS!!!!! Congratulations !!!!!!! !